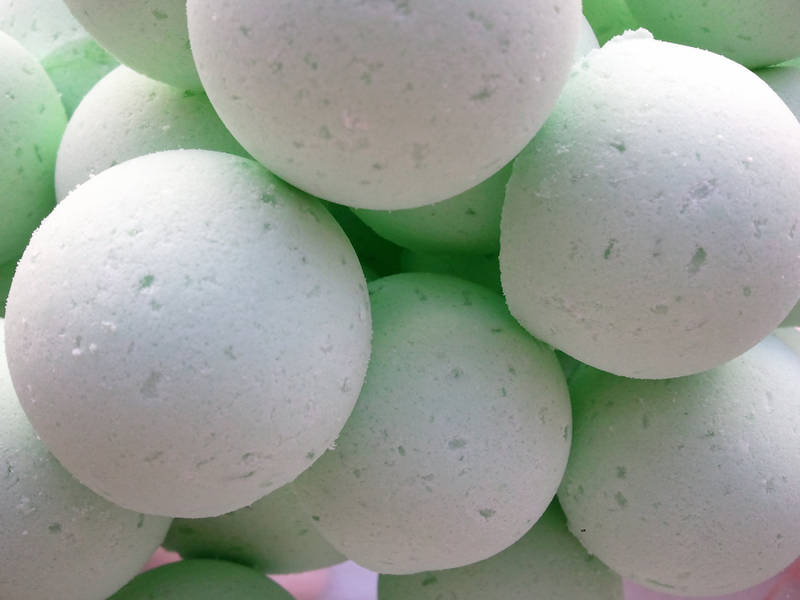 1 oz bath bombs (14/package). Over 100 fragrances to select from. 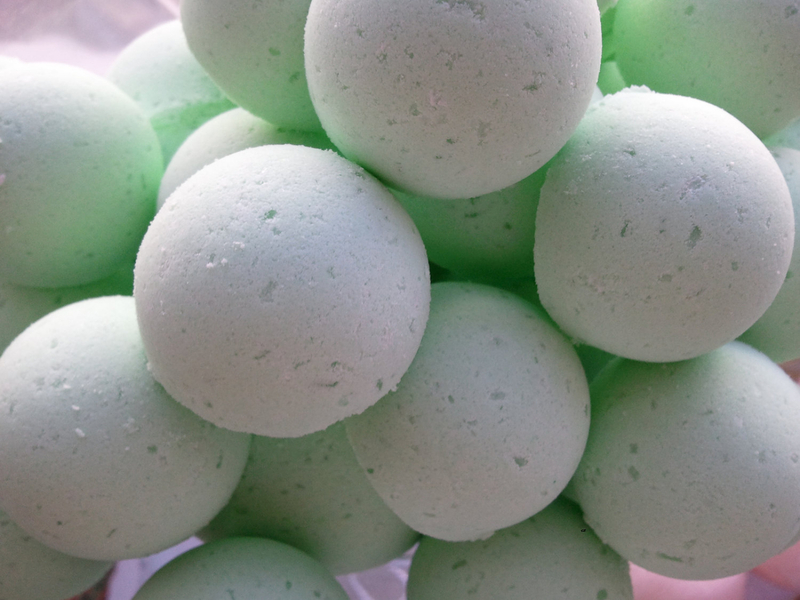 14 Bath Bomb Fizzies (1 oz each) fragrance Absinthe - another favorite! I handmade these bath bomb fizzies. They are 1 oz in size and shaped like large gum drops. Use them to fragrance your bath as well as moisturize and soften your skin. We make these with powdered milk and extra Vitamin E. Great for gifts, birthdays or every day use. You can use one per bath or several in each bath. Draw your bath and drop in and watch them fizz. Relax and unwind while the epsom salts and moisturizing oils do their work on your body. Shea Butter (First choice for natural skin care and leading natural product for moisturizing). Mango Butter (Natural emolient properties and regenerative, used to soften skin, soothe and moisturize. Dermatologists recommend mango butter for treatment of wrinkles and most people who use it will notice decreased signs of aging and disappearance of fine lines and wrinkles within 4-6 weeks of daily use. Reasons to use Mango Butter, effectively treats dry skin, heals skin rash, heals skin peeling after tanning, clears blemishes and wrinkles, relieves itching skin, heals sunburn, prevents stretch marks during pregnancy, relieves insect bites, promotes healthy rejuvenated skin, heals muscle fatigue aches and tension, relieves skin allergies such as poison ivy, treats eczema and dermatitis, fights off fine lines and wrinkles. Bathing with bath bombs is far better than lotion. The body oils will lock in the skin's all-natural moisture, are 100% pure and natural ingredients, many oils are Kosher too. We use a mixture of these oils to nourish and moisturize your skin. Listing is for 14 Absinthe bath bombs 1 oz each (total weight 12 ounces). Thank you for shopping with us today. Send us a message with your location for combined shipping and Flat Rate.